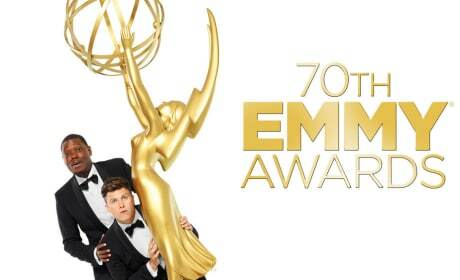 This is a goofy piece of key art for the 70th Anniversary of the Emmy Awards. This was the highlight of the 2014 Emmys: former Seinfeld co-stars Julia Louis-Dreyfus and Bryan Cranston share a kiss. 2018 Emmy Awards: The Marvelous Mrs. Maisel, Barry, The Americans & More Winners! !